If you are rebranding or starting a blog from scratch, the first thing you need to do is choose the perfect blog name. It’s not easy. In fact, it took me at least 6 months to find a blog name that really stuck with me. I kept my urge to rebrand a secret because I knew if I announced it prematurely, I’d find myself rushing through the process and settling for something I didn’t love. Also, I didn’t want to find myself in the same situation, 5 years from now, wishing I’d picked a blog name that really made me happy and proud. Keep in mind, this is a process and can be a very long one, so be patient. After moving from Women and Their Pretties to But First, Joy, I found myself showered with support from my peers! That’s a great feeling because whether you want to admit it or not, public opinion matters – especially when your entire career revolves around it. In the midst of the joy and excitement, I received around 5 messages from other bloggers asking how I picked my new blog name. I realized that this was something we all wish we could have help with. 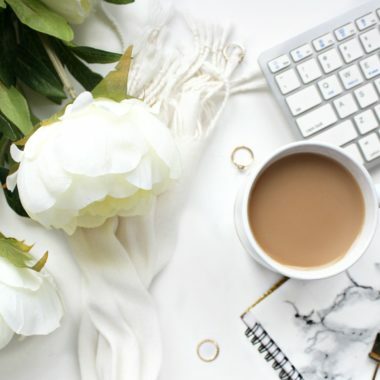 The thought of choosing a blog name can be exciting but when you actually start thinking about it and researching, you realize it’s quite intimidating. I hope this post will help with that. Before anything, you’ll need to grab a pen and paper to write down all of your thoughts. I know, it’s so 90s to use a pen and paper, but it’s important for you to see how your ideas look on paper. You’ll begin by asking yourself a few questions and then, the fun stuff begins! Ask yourself: why are you starting a blog or rebranding? Write it down. There’s got to be a big reason why you’re rebranding or starting a blog. 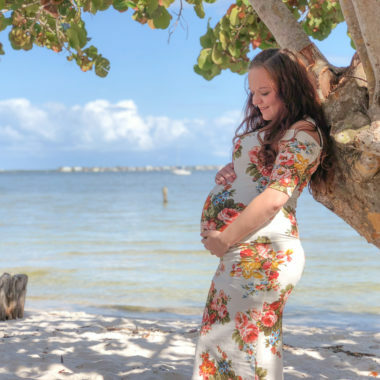 Do you want to share tips for new moms? Are you changing your focus? Is your blog name too basic? Are you looking to niche down? All of these are great reasons to rebrand or start a blog! Write down your goals for the new blog; it can be as many things as you want. I want you to totally dream here! Then, consider those goals/ideas when choosing a blog name. What do you want your blog name to say about your blog and yourself? Again, I want you to write all of this down. Don’t sell yourself short and don’t be humble. These notes are for you and you alone. If you want your blog to scream “strong, powerful woman” then write that down. For example, I wanted my blog to express joy and positivity when people visited. I knew I wanted to continue as an Orlando lifestyle blogger with a main focus on wellness and womanhood. Include all the things that make you special. What blogs/bloggers inspire you? Write down their blog names, taglines, and why they inspire you. There’s absolutely no harm in drawing inspiration from others, as long you aren’t blatantly copying or trying to mold yourself after them. Write down he bloggers who inspire you. What do you love about their blog names, themes, taglines, etc? Think of those ideas and put your unique spin on them. Now the fun begins – write down your favorite words. I made a list of my favorite words, the words that brought me happiness, and words that related to my blog. I included words that I’d like in my blog name. The words I toyed around with were: woman, women, sunshine, joy, she, conquer, happiness. If you want to blog about motherhood, keywords could include: mama, parenting, children, bonding, motherhood, nest, home. Check a Thesaurus for additional words that relate to your blog. Ever since I was in Middle School, I’ve used a Thesaurus for my writing. I love finding new words with the same meaning to enhance my writing. This is the perfect tool for finding a blog name you love! If your word is JOY, other synonyms could include: happiness, delight, bliss, or pleasure. Start pairing those words up with one another, insert them into fun phrases. Now that you have a list of words you love, start playing around with them! Throw them together with other words. Insert them into phrases. If it sounds silly, that’s okay! One thing can lead to another. For example, my idea started “Choosing Joy” which was sadly taken. Then, I thought of “Cup of Joy” because of my love for coffee. Again, not available. The coffee idea stuck with me. I didn’t want the word “coffee” in my name but hinting at it would be fun because coffee is life. So, it hit me: But First, Coffee = But First, Joy. I immediately fell in love with it. Be sure the domain and socials are available. Fortunately, the domain was available and 3/4 socials were available! That’s the scary part. Don’t fall in love with a name that isn’t available unless you want your heart to be broken into a thousand pieces. If it does happen, don’t settle for a name similar to that one. If you love it and can’t get it, go back to the drawing board. Something will come to you! I used GoDaddy to search for a domain. Get a support team of 4-5 people who can give their honest opinion. It’s great to have a team of supportive friends who are available at anytime. 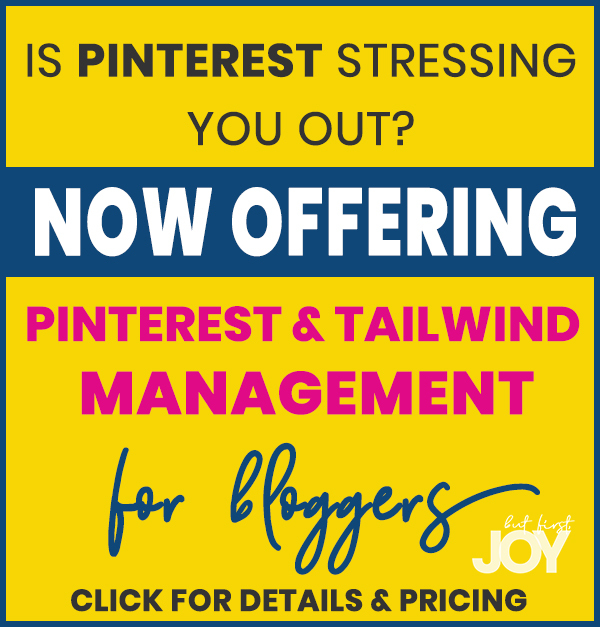 You’ll need a few people who will answer you quickly when you want an opinion on a blog name. Ask your support team their honest and immediate thoughts. If anything, they could toss around some ideas that might spark something else for you! It’s important that you choose friends/family who you really trust. 4/5 people loved my name and said it was “so you”. I didn’t need everyone to love it because I loved it! Does it bring you happiness? When you hear your blog name, see it, and read it out loud, how does it honestly make you feel? Does it bring you joy? Does it make you feel proud? Is it easy to understand or will you need to explain it to people? I literally looked at my blog name recently and told my husband, “I cannot believe this blog is mine. I am so happy.” That was it. That was the validation I needed to know that I made the right decision. Before making your final decision – google the name. The domain may not be taken but the name could be something that’s been used in a movie, post, hashtag, etc. You want to make sure there isn’t anything bad floating around that could possibly be connected to your blog later on. For example, one of my failed name ideas was “Once Upon a Woman” which I didn’t love but it was kinda fun. I Googled it and found that there was recently a film with that name. I hadn’t seen the film but definitely didn’t want my blog to be related to it just in case! Grab the domain and socials ASAP! If you love it and your support team loves it – grab the domain and socials ASAP! The domain should be under $15, so if you change your mind later, that’s okay. You just want to make sure you own it while it’s still available. 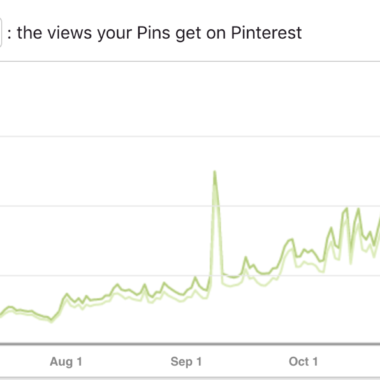 If you’re rebranding, rather than starting a new blog: don’t change your socials just yet. Just grab them on new accounts, you can change your current socials later. Write down the potential url to ensure the words don’t spell out something weird when combined. Now that you’ve got the domain and the socials, it’s time to think about the small details. Write your blog name down. Write the words separately and combine them into a URL. Sometimes the words combined spell out something weird. Trust me, you don’t want a word in your blog URL that can confuse people or embarrass you. If all is okay, then keep it moving! So, you’re pretty sure you love it. Now, it’s time to sleep on it to make sure you’re not making big decisions based on temporary feelings. If you still love it the next day, you’ve probably found the blog name for you! I gave it 3 full days before taking the plunge! Now that you’re sure, grab a tagline that fits with your blog name and niche! 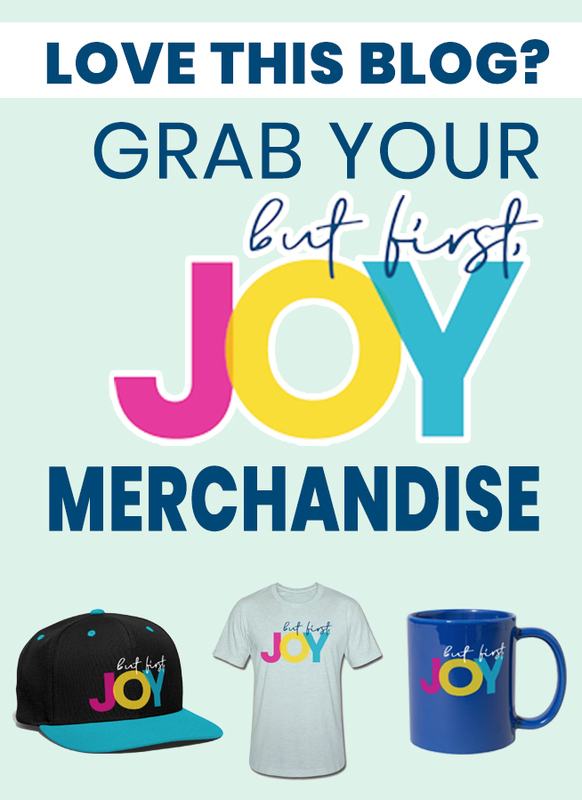 For But First, Joy I have: inspiring ordinary women to find joy in everyday things. Get an idea of the logo you might want by sketching out a few different ideas. This can be used to translate to your designer later on. If you want to create a merch shop, like I did, be sure that your blog name and/or logo are marketable. Is it something you’d want to see on a shirt or mug? If you have a big following or even a few loyal readers (or you expect to), then make sure you’re creating a logo that looks great on products! Yay! You did it! Congratulations! I am so very proud of you and excited to support you in your new journey! So, comment below with your new blog name or shoot me an email to run your ideas by me. I’ll give my unbiased opinion. I’d love to be your support team! If you’re looking for a creative and professional dsigner for your blog, website, or logo, I highly recommend Pixel Me Designs! 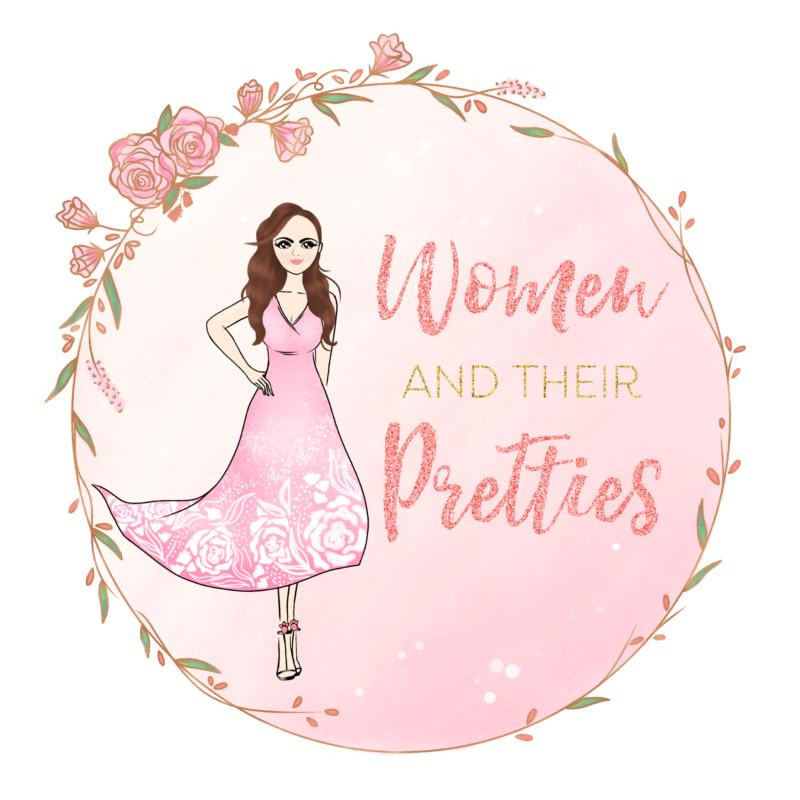 She created my entire blog, logo, and social covers from scratch and I love it!